St. Margaret’s is excited to be expanding our STEM partnerships by working with a member of the Capital Region Beekeepers Association to establish an apiary on campus. Space will be provided to the beekeeper in exchange for teaching and learning opportunities about bees and beekeeping for our students. Student, teacher and staff safety is the priority. The beekeeping partner, apiary site, and details about how students will interact with the hive have all been carefully considered. Why are we bringing a hive on campus? My name is Alanna and I have been a beekeeper on Vancouver Island for 7 years. Working with bees is a calling that I have had since childhood, but my profession as a sailor made it a little problematic to bring them to sea with me. Since coming ashore, I have expanded the horizons by entering into the marine environmental science field and I now work as an Environmental Officer for the federal government. And as a beekeeper. 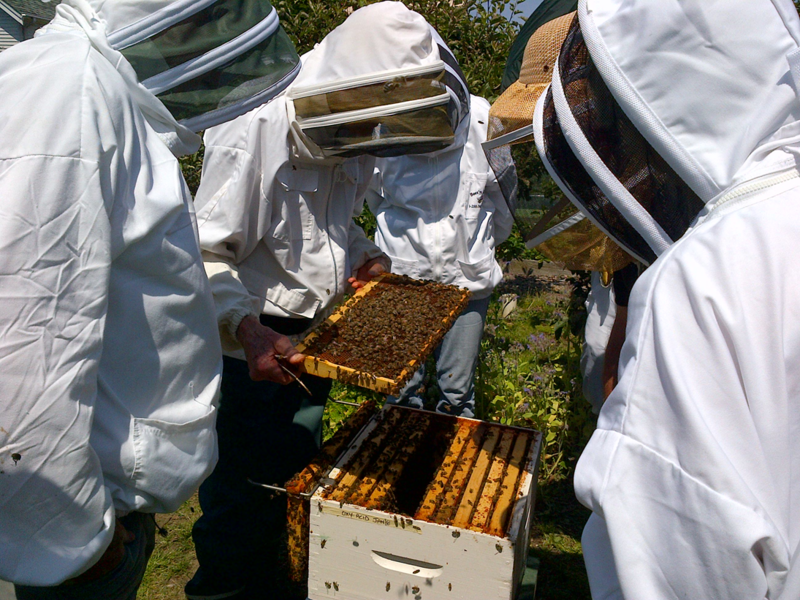 Spending time with bees and learning about the wonders of our many pollinator species is truly fascinating. Bees do everything for a reason and though we know them as that capable little insect on a flower, in the hive community of thousands, their abilities become exceptional, and so we call them a superorganism. The ancient relationship that people and honey bees share can make for never ending conversation. Of the many types of bees, most beekeepers (myself included) prefer the European Honey Bee or Apis mellifera because they are both strong and calm bees. We get along quite well. I am very excited about the new honey bee pilot project that the STEM program has begun. The bees and I are looking forward to spending some time with the students and teachers at St. Margaret’s School and supporting this new project. Together we can learn about the wonderful world of honey bees, how they enrich our lives and what we can do for them in return.